New mixer revolution - What's Katie Doing? 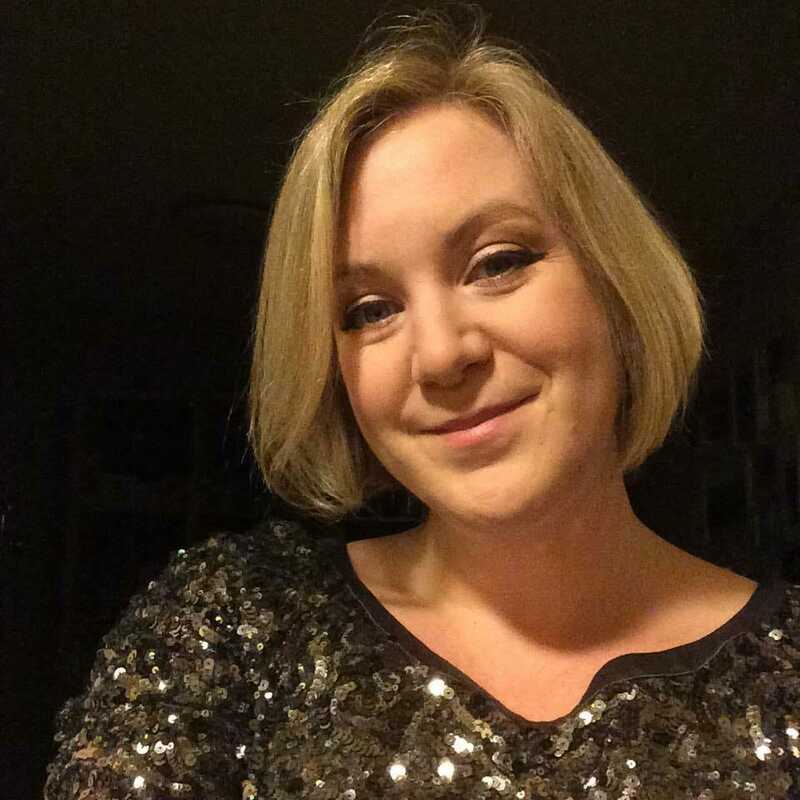 As a Gin and Tonic girl, I have an affection for quality tonics and an affinity with the Premium brand FeverTree. 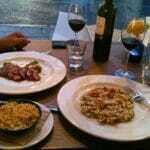 However I find drinking more than a few tonics to be quite drying and I often like to switch out to other drinks. Which is where the new mixer revolution comes in! 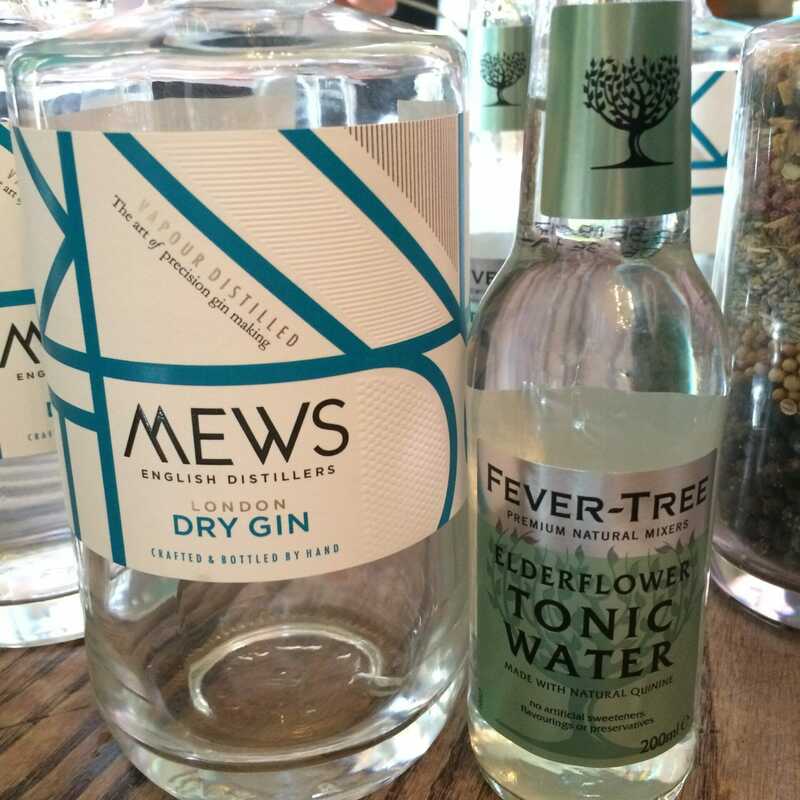 Multiple brands are now vying with FeverTree for market share in the tonic space, including Schweppes up-ing its game to enter the premium bracket. FeverTree itself has expanded its range and even launched a cola this summer. Then there are the non-tonic mixers that actually work well with gin, instead of the traditional gin and tonic… so where to start? 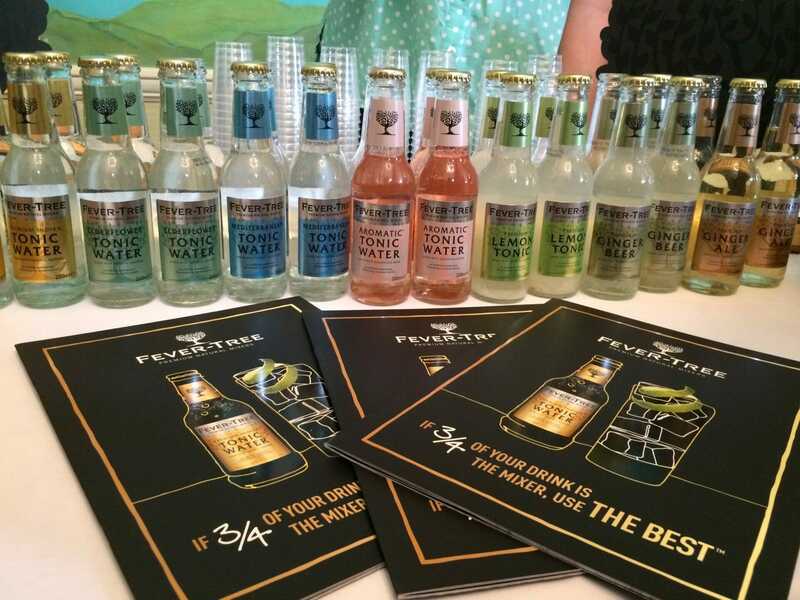 Now I am a FeverTree fan and their range of classic Indian Tonic, Light Tonic, Aromatic Tonic, Lemon Tonic and Mediterranean Tonic has all bases covered. So what else is out there? 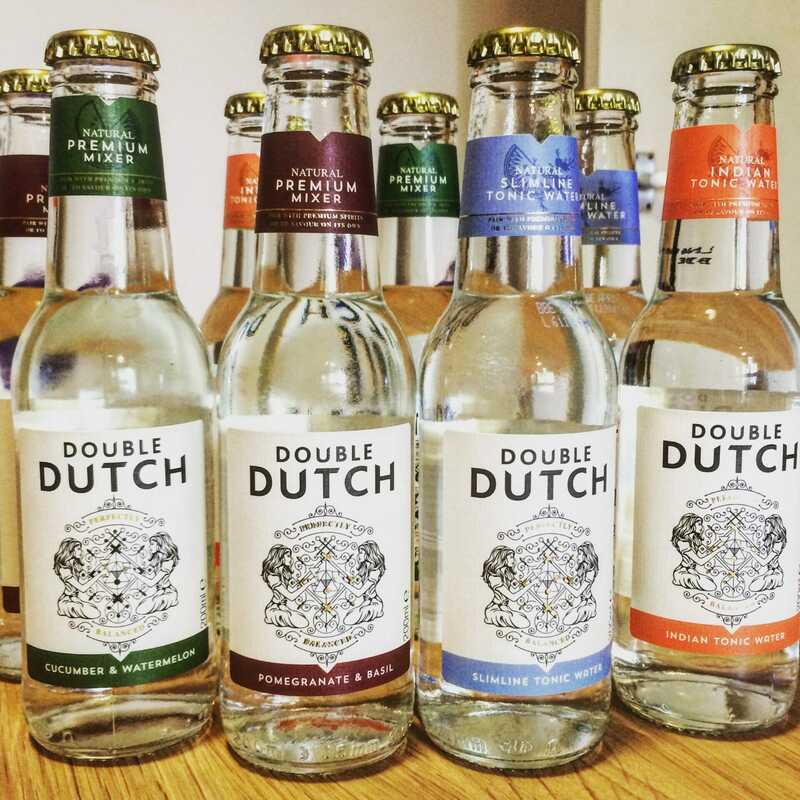 Double Dutch have a great range of premium tonics with different flavours. 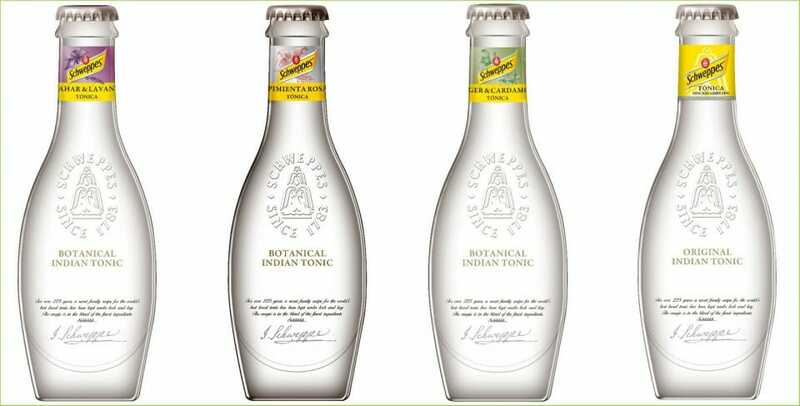 Whilst they do a classic Indian tonic water and a slimline version, their flavoured ones are where the new comes in. I tried the cucumber and watermelon at Junipalooza this summer and it struck me as something very different to other mixers I’ve tried. This is one for the tonic haters out there! With a spring of herb and a citrus garnish you have a long cocktail in no time. The pomegranate and basil flavour was sweeter and not to my taste on it’s own, but I’m sure it will suit lots of people. 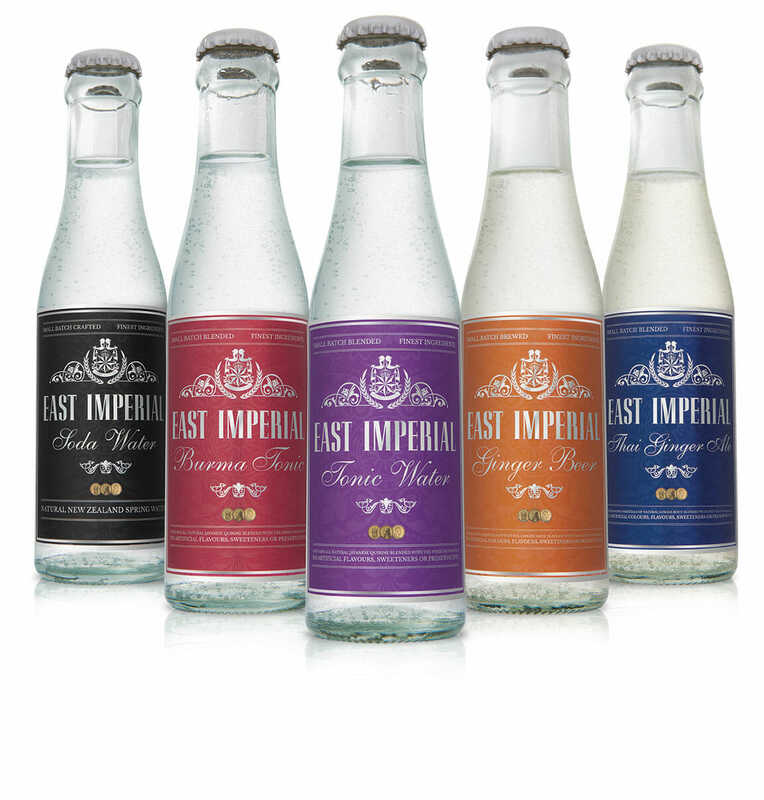 I didn’t get a chance to take any East Imperial tonics away with me at Junipalooza, however trying them was fabulous. 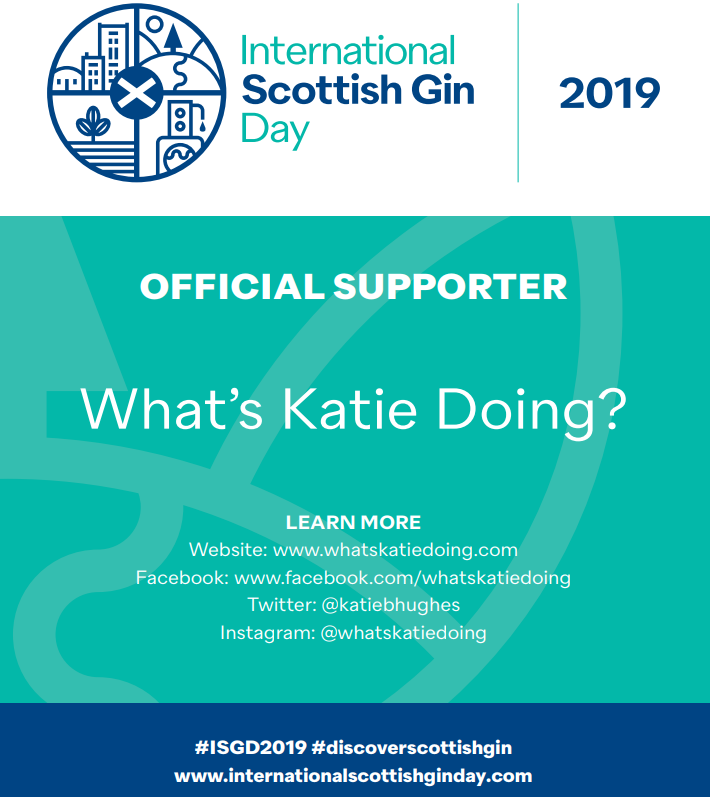 They are much softer and less sweet than modern day tonics – Gin Club with a Reading Problem particularly liked the Burma tonic and I still want to try the Old World and Grapefruit tonics, as I’m sure they will live up to expectations. Now I know what you are thinking, ‘Schweppes, I thought we got away from that’, well they are responding to the competition in their market and fighting back. Hence this new premium range, that has first been released on the continent (I’ve not yet tried it). The flavours sound great, Orange Blossom and Lavender, Cardamom and Ginger etc. 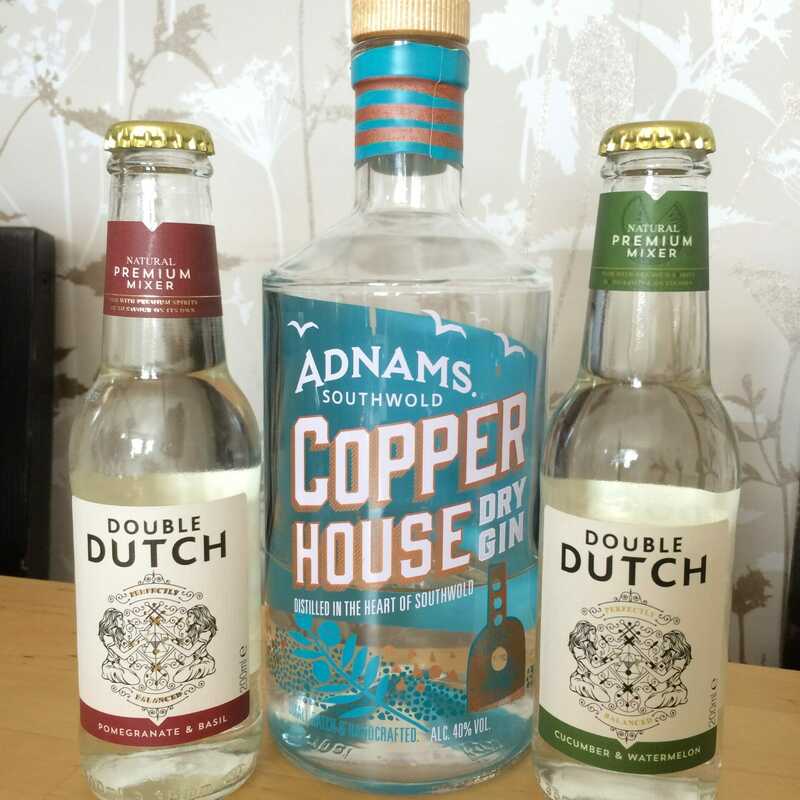 They will make a great addition to the new G&T – let me know if you see them stocked in the UK! 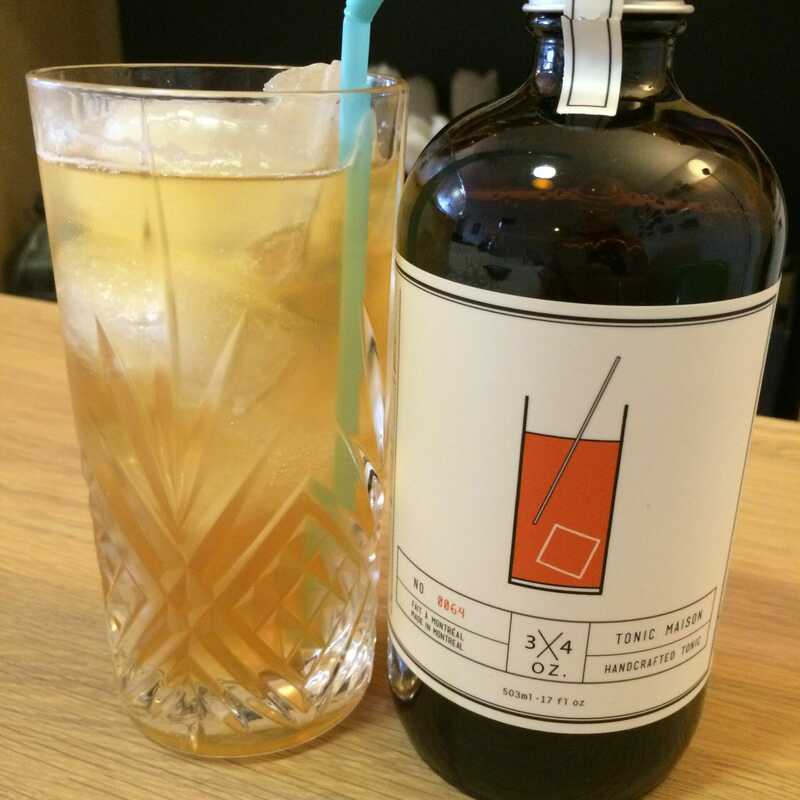 This new tonic syrup is made by a company based in Montreal. The idea around tonic syrup is that you can control the strength of it when mixing with soda water to make a gin and tonic. I like the idea and I know lots of bartenders prefer the ability to tailor, but it still freaks me out when I see the colour of the tonic!! 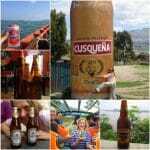 (It comes from the cinchona bark which is how the quinine is extracted to make tonic). I did find this to be a very refreshing tonic, with or without gin! If you don’t like gin and tonics, or particularly just don’t like tonic, then perhaps you need to try a different mixer.. I find that a lot of people who ‘don’t like gin’ actually don’t like the bitter taste of quinine in tonic. Get around this by mixing it up! Basically like a grown up version of Appletiser! 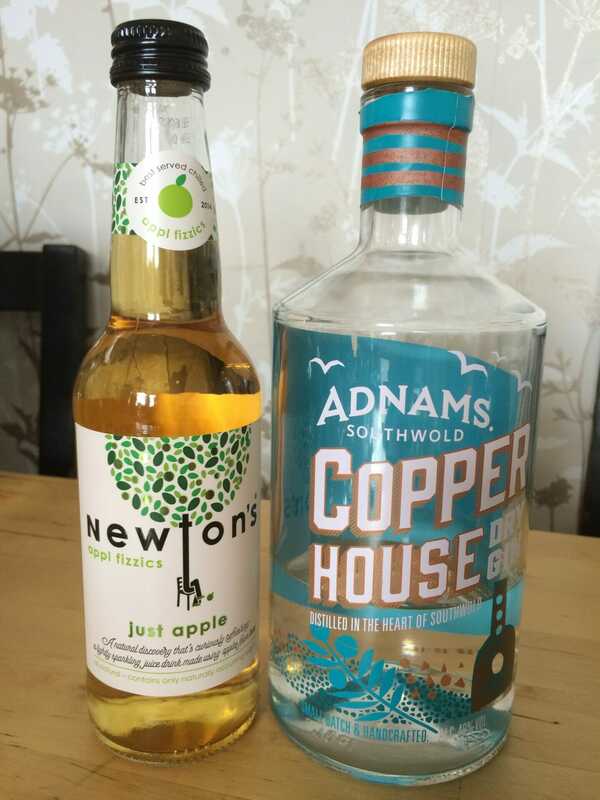 However served with the Adnams Copper House gin it makes a refreshing alternative that complements the hibiscus and other botanicals. Take it one step further with a spring of mint and you have a refreshing long summer drink/cocktail that I guarantee would have most people agreeing they liked ‘gin this way’! 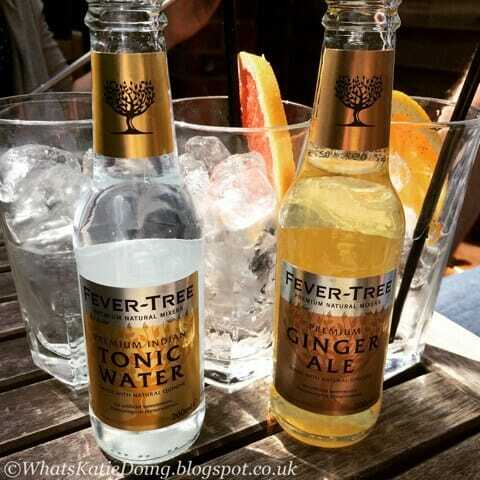 er yes FeverTree again – other brands are available! 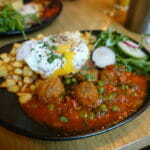 This isn’t a new suggestion, for example spicy Opihr is suggested to be served with ginger ale. However it works again where people don’t like the drying flavour of tonic and can enhance the gin experience. 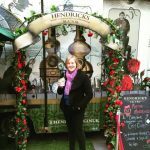 Just add gin – I don’t need more persuading than that! So this particular Elderflower Collins mix was a god send at the festival campsite.. all that we were lacking was some ice – a quick forage at the nearest bar obtained some and we were all set! Literally just add gin (I would recommend ice too though) and this is so easy to drink and transport. Perfect for summer festivals and picnics. 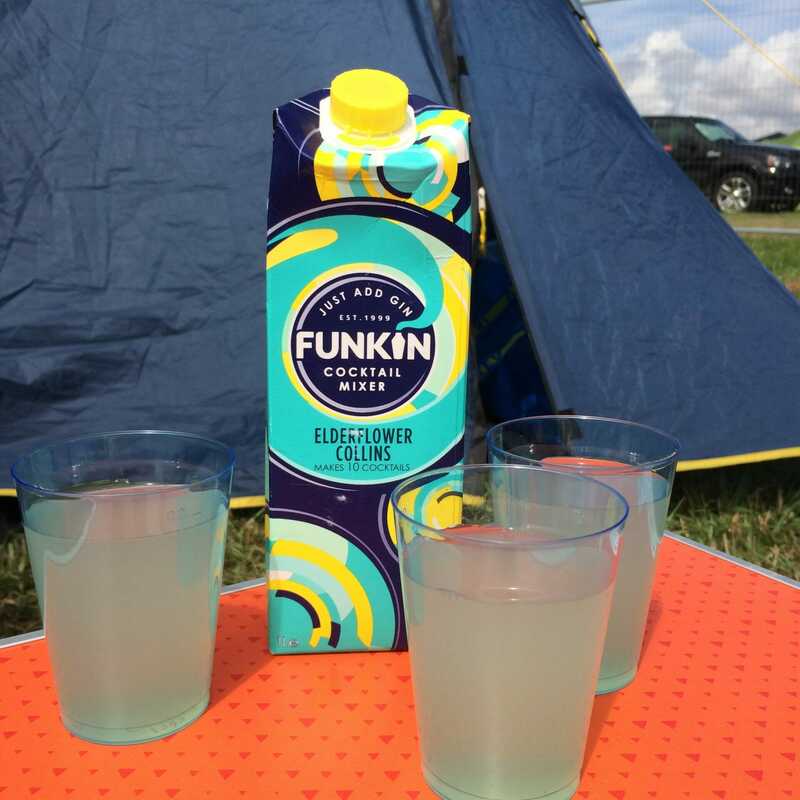 The Funkin range does other cocktails too and I could imagine the Mojito going down well, whether you have gin or rum to mix with it! 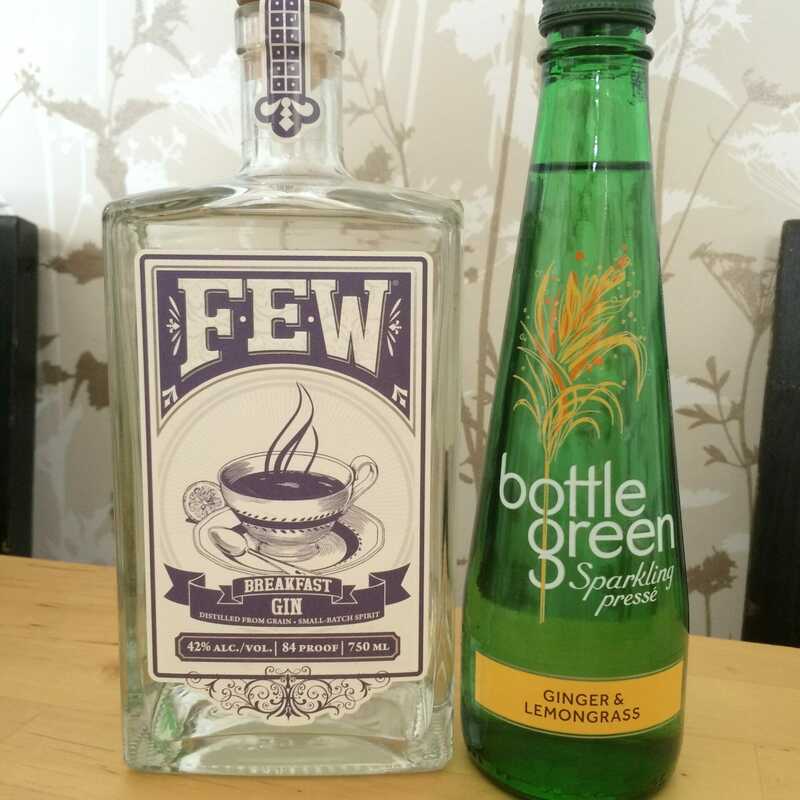 Bottle Green have been around for a while, I’ve always liked their Elderflower presse, however they have upped their game with the latest range additions. Ginger and Lemongrass presse adds a touch of the exotic and works well with the before mentioned spicy gins, but also those like FEW with a citrus heavy flavour. The range includes the Cranberry and Orange presse that I’ve not tried yet, but I’m sure that will make a great summer drink too. With so many new mixers to choose from – from those aimed at gin, to those that just happen to work really well with it, you are spoilt for choice. So what are you going to choose now? 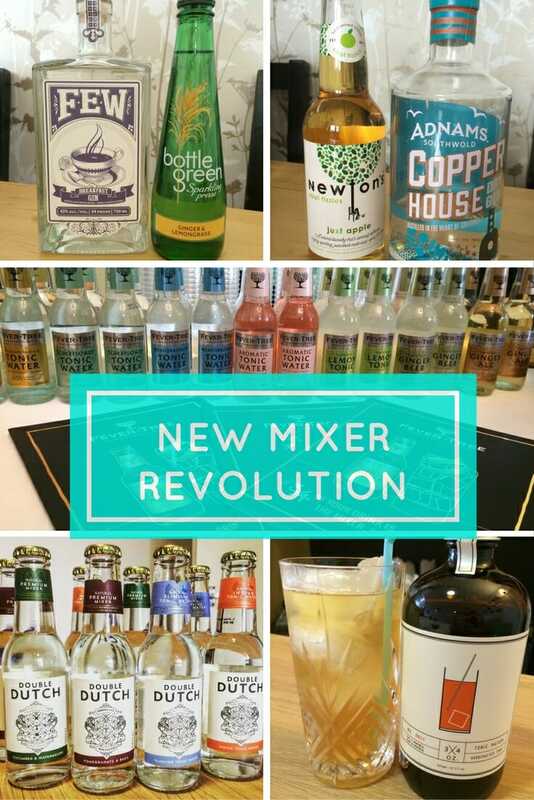 Let me know if you are inspired by the new mixer revolution like me and keep me informed as to new drink combinations you come across!